For #InternationalTeaDay (15 December) we thought we’d share our favourite places for a brew of Britain’s favourite hot beverage, the cup of tea. We may not like to admit it, but us Brits are known for packing our favourite tea when we travel. However you like your brew, tea has such a firm place in British culture that it travels everywhere with us, even on our domestic holidays – just in case the local shop doesn’t stock our favourite brand! So on that note, here are our fave spots for a sound cuppa and our fave sources of the leafy stuff. We’ve covered all eventualities: big mugs of builders tea, longings for delicate loose leaf, places to stop and enjoy, and places to grab and go. At the heart of this vibrant suburb of central Oxford, you’ll find the perfect spot for a mug of builder’s tea. It would be unfair to suggest that this is the only tea they offer, because they don’t. But they make a stonking cooked breakfast and really, in our opinion, the very best thing to wash down a hearty brunch is a strongly brewed cuppa. The larger the mug, the stronger the brew, all the better. So if you’ve found yourself a bolthole in these parts, you’ll find good brunch and good tea to get you through the remainder of your weekend break. Beautiful Winchester has so much to offer the travelling man. And we’ll let you in on Winchester’s worst kept secret: grab a takeaway brew from Ginger Two between 7.30am and 9.30am, and it’ll only set you back £1.50. Now that might be a little early if you’re on holiday in Winchester, but you never know. What better excuse to get up and walk the dog early, than to bring home a sustainably sourced, tenderly brewed cup of tea. For those of you preferring to sip your way slowly through the pot over the morning’s papers, don’t worry there’s plenty of seating and they’re open all day. Now here’s a treat. Not necessarily for the tea lover, just someone special. This is afternoon tea territory on a stately scale. Allow plenty of time soak up your spectacular surroundings while savouring homemade cakes, scones and the obligatory finger sandwiches. Will you be beaten by this scrumptious selection or will you devour every morsel? Naturally, you’ll be drinking loose leaf tea, but you choose your leaf. And whether you put the milk in first or second (or at all) is entirely up to you! It would be utterly remiss of us to exclude Betty’s from this list. One might say it’s the home of tea and yet for a British institution it was created by a Swiss man, Frederick Belmont. While you can now have Bettys tea delivered to your doorstep, you can’t come to Harrogate without experiencing it first hand. Or if you’re staying further afield, Bettys now has six tea rooms across Yorkshire. So how close is your Yorkshire holiday cottage to Harlow Carr, Stonegate, York, Ilkley or Northallerton? You can pop in to any of the tearooms and sample the unique combination of Swiss artisanal baking with British tea brewing – as a family run business, it’s still staunchly loyal to its origins. Or for a real tea experience book the Lady Betty Afternoon Tea and wind your way through a selection of rare teas from around the world. You know what we did, don’t you! Just like you can buy tea to take home as a souvenir or gift from most of the places above, you could probably stop for a cuppa at some of the places below too. These are our favourite tea sellers. Some also have tea bars or shops too, where you can sample their brews first hand. If you like to explore the world of tea and fancy trying something new on your next self-catering holiday, here are a few places to handpick from. “Deliciously pure, whole-leaf tea and nothing else.” Their words, their ethos. And boy do they know their stuff. For the love of tea, Good & Proper began as a pop up and now has a couple of sites in London. But you’ll find its converted Citreon van at events, venues and festivals around the country. Online you’ll find a loose leaf tea in varieties you’ll know and varieties you won’t. So if you like to experiment, go for it. Each one details its provenance, its essences, how to brew and what to drink it with. You will be spoilt for choice, but that’ll leave you coming back for more! Here’s something a little unique. Alongside a row of cutely branded, you’ll spot a shelf of rubs and flavourings for use in the kitchen. Don’t get confused between the two – it could make for interesting drinking. You’ll need your strainer for these teas too, but in its taste bud tickling blends they’ve brought some fun to the table. After a mug of Crack of Sparrows you’ll have no need for a Berrocca, that’s for sure. 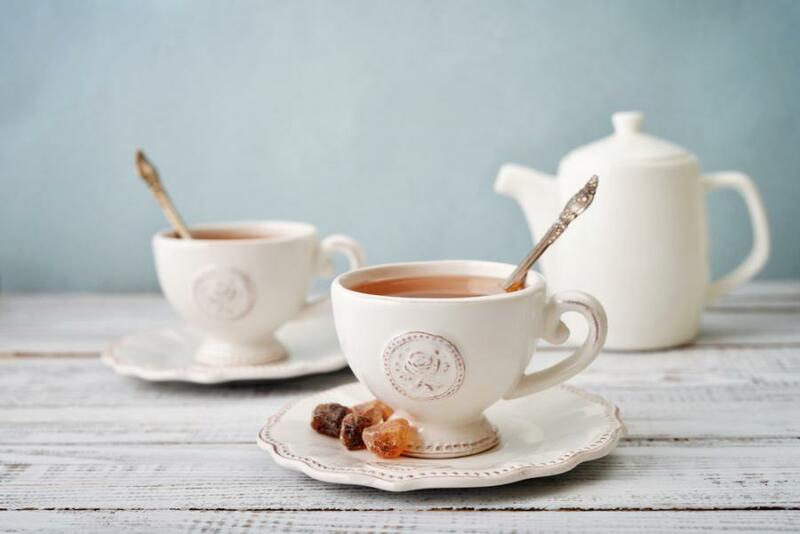 Wonky Pot is particularly of interest to lovers of fruit and herbal teas – their blends combine flora in a way one may not previously considered. But if fruity freshness is your bag (forgive the pun), then Flora’s Fabulous Fairytale blend will settle you in the mist of a beautiful wildflower meadow while you sip, or slurp, away. If you find yourself in or around Richmond for a spot of lunch by the river or a wander in the park, don’t head back to your cottage without a visit to Rosie & Java. After the wafts that hit you on the way in, you won’t want to leave without something to brew once you’re back. We’re particularly taken by their Flowering Art Tea – it’s quite the spectacle if you’re welcoming friends joining you for a group getaway after a long journey. Watch as the bud unfurls in the water to the surprise of your companions while it brews you a delicate green tea. Alison and Robert know their stuff (they’re both master baristas if you need a hard caffeine hit while you’re there) and they have a penchant and a passion for speciality tea. What else would a Scottish company be called, we ask. Well here you have it. Their teas are named to capture the essence of Scottish fine produce. So much so, you could be mistaken for thinking you were buying whisky or smoked salmon when you see Dalreoch Single Estate Scottish Smoked White Tea on the page. As that name suggests, some of their tea is Scottish cultivated tea and that’s definitely worth a whirl in the pot. But these guys also invite you to blend your own brew. Though if you know what you like and where it comes from you can buy tea based on its source or its caffeine level. Don’t worry, we’ve not gone mad. We know we don’t have any holiday cottages in Chelsea, or central London for that matter. But Whittard is like Bettys for us: established, British, all about tea. From every day blends to speciality loose leaf varieties, they’ve got it covered and they’re pretty knowledgeable about it too. Even better, grandeur meets prettiness in the design of their tins. So a tin or two always looks good on your tea tray and if you’re stocking up for your holiday, it all feels quite special too without breaking the holiday budget. For those who like to pack the kitchen sink when they travel, good luck saying no to their selection of porcelain teaware. We were particularly smitten with the Alice in Wonderland themed mugs. Coming to a stocking somewhere this Christmas! After all that you’re either ready for a brew or a chocolate digestive for dunking (yes, we do that occasionally too). So happy sipping or glugging and here’s to the great British cuppa!